South Africa recently rid itself of its president when the ruling ANC party ordered Jacob Zuma to step down as head of state. 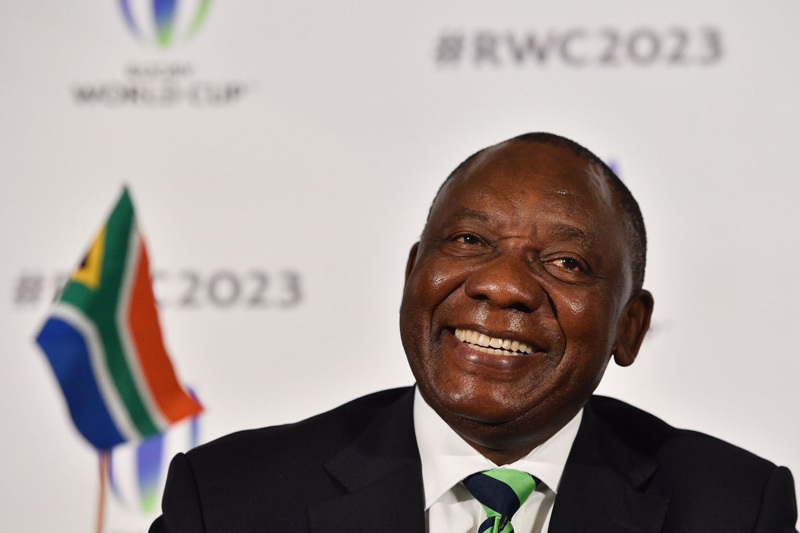 Within 24 hours, and unopposed, it elected Cyril Ramaphosa as South Africa’s new president. This followed a raid on the Gupta family home and the serving of thirteen warrants of arrest (eight were arrested, two went awol, and three left the country) in relation to state capture investigations. There’s an all-round positive sentiment towards the new president. Analysts and investors, currency traders, trade unionists, journalists and people on the street all seem to agree that they like Cyril Ramaphosa, even if at SONA (State of the Nation Address) in Cape Town his speech drew mixed reactions. Popular imagination has him saving the day, but he has a difficult task ahead of him in the face of state capture, rampant corruption, racial tensions and a limping economy. He appears born for the role. If the relaxed and charismatic way in which he addressed the nation at SONA is anything to go by, this is one chilled president. Ramaphosa is off to a good start, according to various media columnists. Zuma has gone, Ramaphosa has reshuffled the cabinet to include his main competition for the presidency, Zuma’s ex-wife, there’s a new board in place at Eskom, the top brass at SARS have been given marching orders, Pravin Gordhan is back on the scene as minister of state owned enterprises, and Moody’s has decided not to downgrade the country’s debt status. Cyril Ramaphosa, who has honorary doctorates from several local and international universities as well as a law degree, was christened Matamela Cyril Ramaphosa. Most people call South Africa’s new president ‘Cyril’. According to a number of online sources he was a visiting professor of law at Stanford University in California in 1991. The new president’s mother was a clerk by profession, but according to his unofficial biography Cyril’s mother also sold home-brewed beer from their house in Chiawelo, Soweto. His father, Samuel, was a policeman. During the violence at the end of apartheid Ramaphosa was Nelson Mandela’s chief negotiator. He also played a role in drafting the country’s hugely liberal constitution. He stood by Nelson Mandela’s side at his first public appearance. Mandela’s first public appearance on the balcony of the Cape Town City Hall, in 1994, had Ramaphosa by his side. At the time Ramaphosa was chairman of the National Reception Committee, formed to coordinate the events around Mandela’s release. The story goes that the committee was particularly nervous for Mandela as the state had supplied absolutely no security. 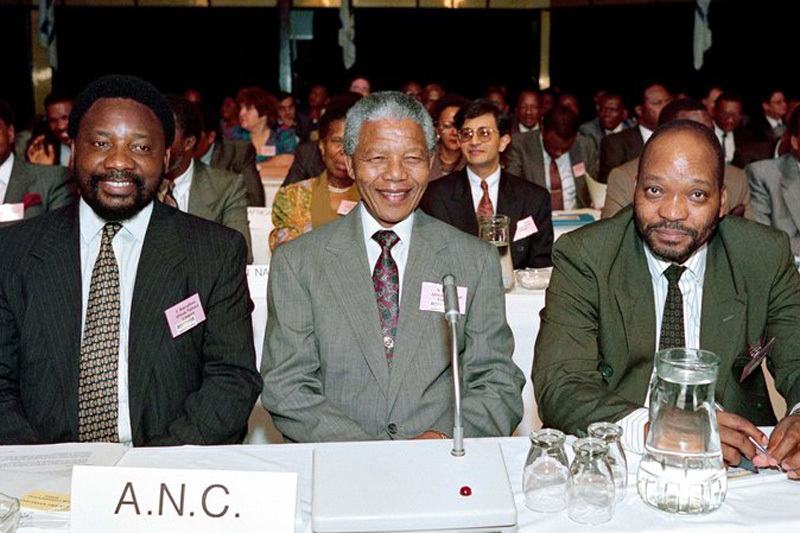 Ramaphosa defeated both Jacob Zuma and Alfred Nzo in an election for the position of ANC secretary-general in 1991. He served as head of the ANC negotiation team when apartheid came to an end, and he was chairperson of the Constitutional Assembly in 1994, playing a major role in the government of national unity and in drafting South Africa’s post-apartheid constitution (one of the most liberal in the world). After Nelson Mandela stepped down, having served only one term, Ramaphosa lost an election to Thabo Mbeki and appeared to resign from politics, disappearing into the private sector. He was to maintain a foothold in the ANC, continuing to serve at the top of the NEC (National Executive Committee of the ANC) whilst succeeding in the business world. Politics was his first love and in 2014 he returned to serve as Jacob Zuma’s deputy. ‘Say NO to corruption and state capture. YES to service delivery and a better life for all.’ The CR17 campaign, Ramaphosa states on his website (ramaphosa.org.za), ‘seeks to restore the values and character of the ANC as a selfless champion of the South African people.’ He appears determined to have an economy that ‘serves all people’. Ramaphosa is one of the country’s richest men, his wealth has been estimated at around R5.67 billion. Interestingly his success as a businessman is one of the reasons people trust that he won’t ‘dip into the state cookie jars’. His home in Fresnaye is rumoured to be worth well over R30 million. During his State of the Nation Address Ramaphosa encouraged South Africans to focus on tourism. He appeared convinced that the country can double the 700k people already employed in the tourism sector, and he called on South Africans to open ‘their hearts and rondavels’ to welcome the world. He likes fish & salad, and breeds long-horned cattle. Ramaphosa is on record as saying that he’s a socialist, and that his favourite food is fish and salad. He’s recently published a book, Cattle of the Ages, with the photographer Daniel Naude, about his cattle, which he farms in Mpumalanga. 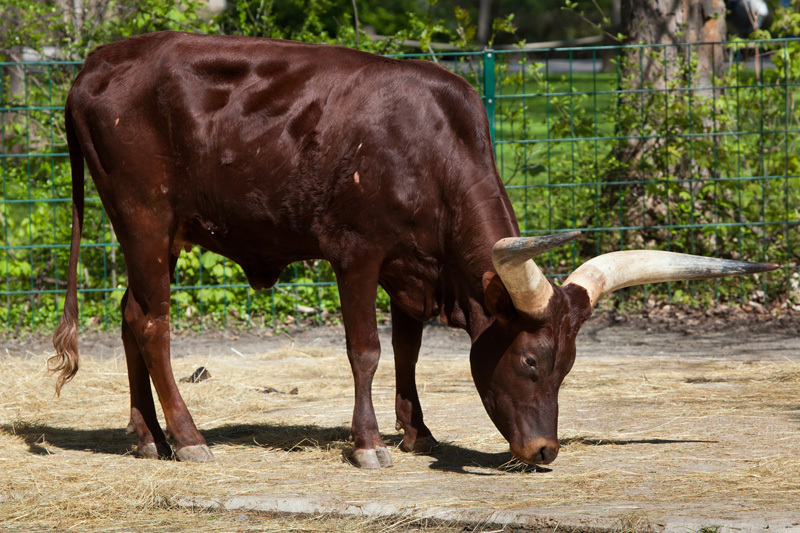 He has a named all of his Nguni, Boran and Ankole cows and is known to keep pictures of them in his wallet, the way others carry pictures of their kids. The Everard Read Gallery in Johannesburg exhibited what were described as ‘breathtaking’ photographs from the book of his long-horned Ankole cattle until the end of March 2018. 1). Cyril Rhamaphosa by Getty Images. 2). Cyril Rhamaphosa, Nelson Mandela and Jacobn Zuma – by Walter Dhladhla for APF Getty Images.